What was the initial spark that made you want to launch Booooooom? I’ve always loved sharing the things I discover with other people. When I was younger I was always hunting around for underground hip hop music, and back then it was a lot harder to find this stuff on the internet, I had to use FTP programs and upload several albums all night to get enough credits to download a rare album. The reward for me was playing stuff in my car that my friends had never heard. I think there was a bit of a similar feeling when I started Booooooom, it was another outlet for sharing things that I thought were really interesting and the more obscure or unknown the content was, the more satisfying it was for me. This is part of the reason I’m so interested in emerging artists, people who haven’t had someone vouch for them yet—no stamp of approval—you have to decide for yourself what you think of the work. I heard that the initial decision to launch the site with 7 o’s was due to the regular spelling of Boom already being taken. As you’ve built the site’s notoriety, any funny stories revolving around the unique spelling you’ve chosen? The people at the bank used to hate me because Booooooom is actually the business name as well so they would have to carefully count the o’s on things like checks and I would watch them having to re-count several times. In the end I think the annoyance made it really memorable and it didn’t take long for everyone there to know who I was. It doesn’t sound like a serious business so people often ask what it is and it’s an easy way to get to tell someone about it. Back when you started Booooooom, there really weren’t that many other art blogs of note. Now there are more than one can take the time to list, yet many still only repost the content you and a couple other key sites publish. Curious if you’ve any take on this? I think we’re actually coming full circle right now where a lot of blogs that I used to look at have either already disappeared or will in the next year or so. So yes there are technically more than you could ever list but how many are still being updated? Tumblr is dead. I actually miss having a lot of other ones around. I don’t really think too much about who is finding what where, if another site features an artist we’ve featured that’s awesome, that’s more exposure for that artist. Now that we have a membership, I want to always be highlighting the best work from our most talented members so getting them on the radar of other curators, editors, agencies is actually what I want to have happen. Reposting is good, it means they’re watching. Oddest place you’ve been turned on to a new artist? My favourite photographer in Vancouver, Vishal Marapon, was someone who served our table at White Spot (a very classic restaurant chain here) many years ago. Where do you see yourself taking Booooooom over the decade ahead?My main focus over the next bit will be the membership program we started a year ago. It’s growing really quickly and I’m not sure how exactly it will evolve but I know right now we’re only scratching the surface of what it has the potential to be. My passion has always been the community aspect of Booooooom more than the actual art—personally connecting with people and also connecting them with each other. That’s kind of a vague answer but I think when I first started it was purely a visual catalog of art and as time goes on I see it shifting to focus way more on the people creating the art. Is there an average day for you, running Booooooom? My day is usually split where I work during the day and take a break and then work again late at night. Yesterday I had two meetings, one at 1pm and one at 1am (on Skype with an agency overseas). So I do have an odd schedule but it is somewhat of a routine. The stuff I’m working on is quite different day to day though — the variety is probably the reason I haven’t got bored of it. We’ve always been about collaboration here at Thinkspace and I know you’ve had a strong history of the same. What is it about collaborating in the arts that excites you? I never like doing the exact same thing over and over so collaborating with different people is a way to make something you’ve already done feel new again. There’s new risks and new challenges especially when you’re working with someone for the first time and I like all of that. As an artist yourself, if you could collaborate with anyone, living or dead… who would it be and why? Radiohead. Even if whatever we made together never saw the light of day I think spending time with them and getting to see the world the way they see it for even a short time would be life-changing. 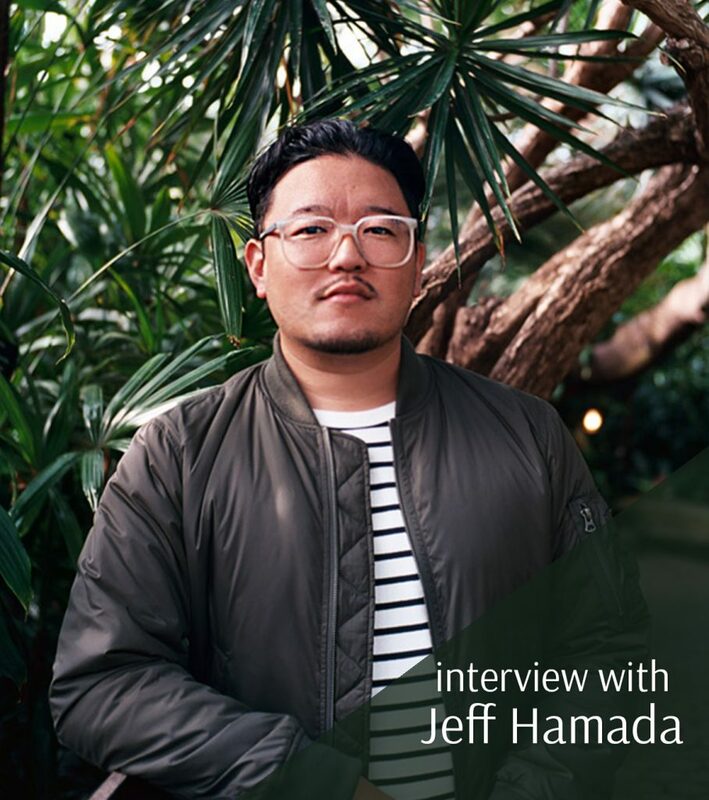 You have only one day to show a visiting artist around Vancouver… where does the Jeff Hamada Tour stop along the way? Please share your hometown with our readers. It would be a mostly food related stops. Get some sandwiches to-go from Duffins and fill a growler at Brassneck then take some bikes around the sea wall that wraps around the whole down town area. Sushi for second lunch/snack at either Carp or Ajisai. Tour ‘em around Main street to see all the murals from the recent Vancouver Mural Fest. Dinner at a good dumpling spot like Dinesty or Peaceful or skip dinner and do a random activity like archery at Gum Ying in Richmond and then have late night noodles at Deer Garden. In this day and age, how much does art school really matter? As art schools become more and more expensive they become less and less relevant. There’s no point starting off your life in such a deep financial hole that you can never get out, especially when there’s so much free information available online. Having said that I do think there is tremendous value in any opportunity for some face to face conversations with really smart people. If I could go back in time I think I would still go to art school for a couple years but maybe not five, and I’d consider taking some business and marketing classes. Your thoughts on art fairs? Honestly, I don’t go to enough of them to have an opinion. I don’t really have any personal interest in them. You’ve interviewed a fair number of artists over the years, anything funny that comes to mind worth sharing? I can’t think of funny things off the top of my head but I’ve interviewed a lot of funny people who’ve shared some really interesting things with me—some of them are in this show. Julian Glander is one. When I interviewed him I asked him to describe one of his all-time favorite scenes from an animation and he talked about one from Gumby – the basic premise is that they’ve broken a mirror by playing their music too loud, so they try to fix it by playing the same song backwards. If Booooooom was an ice cream flavor, what would be in it? Strawberry, chocolate and vanilla in a big brick like the classic neapolitan ice cream. When you’re reheating spaghetti in the microwave make a space in the middle like a donut. Who is your personal biggest influence? Favorite place you’ve traveled thus far? Japan, I never get tired of it. Do you yourself have an art collection? Most memorable moments related to being the chap behind Booooooom? I think by far the best part of creating the site has been all the opportunities to travel to different parts of the world to either speak at or attend festivals, host art shows or work on various creative projects. In the last few years Booooooom has brought me to Australia, Ireland, Hong Kong, Taiwan, Japan, Barcelona, Portugal, Vietnam, Israel, all over the US and across Canada. Star Wars or Battlestar Galactica? The Rock or Jason Statham? The Rock. Jason Statham stands no chance against the People’s Elbow. 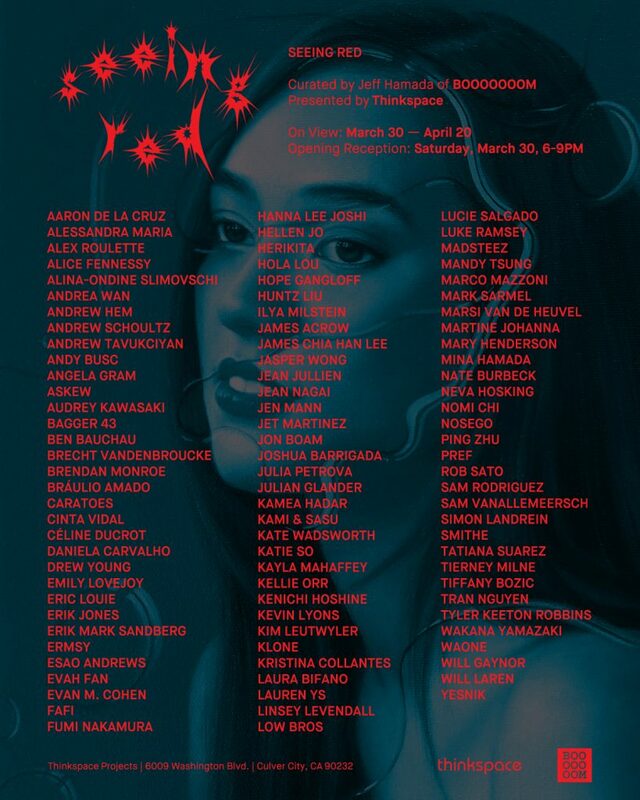 Next Next post: Frank Gonzales’s “Desert Discourse” showing March 2019.